Tamara Thorne has been a traditionally published horror novelist for more than twenty years and still loves ghost stories more than just about anything. A SoCal native, she places most of her books in and around California and draws heavily on folklore, both local and otherwise. 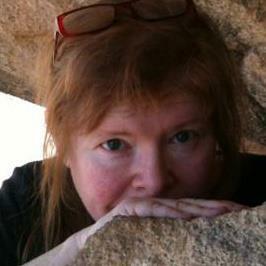 Her books include Haunted, Moonfall, Candle Bay, The Sorority, Bad Things, The Forgotten, and Eternity. More are on the way. No stranger to real ghost stories, Tamara has spent many hours in haunted places, from famous hotel rooms to private residences, to desolated amusement parks and battlefields, beaches and forests. These places always provide inspiration and, now and then, give her a little something extra in the way of goosebumps. She is always on the lookout for more stories, too. You can tell them here or privately via the mail app on her main website. Tamara’s turn-ons include ghost stories and ghost towns, road trips, cats, peaches and very bad puns. (You’ll find them hidden throughout most of her books.) Her turn-offs are stepping in poop, coconut water, and organ meats.